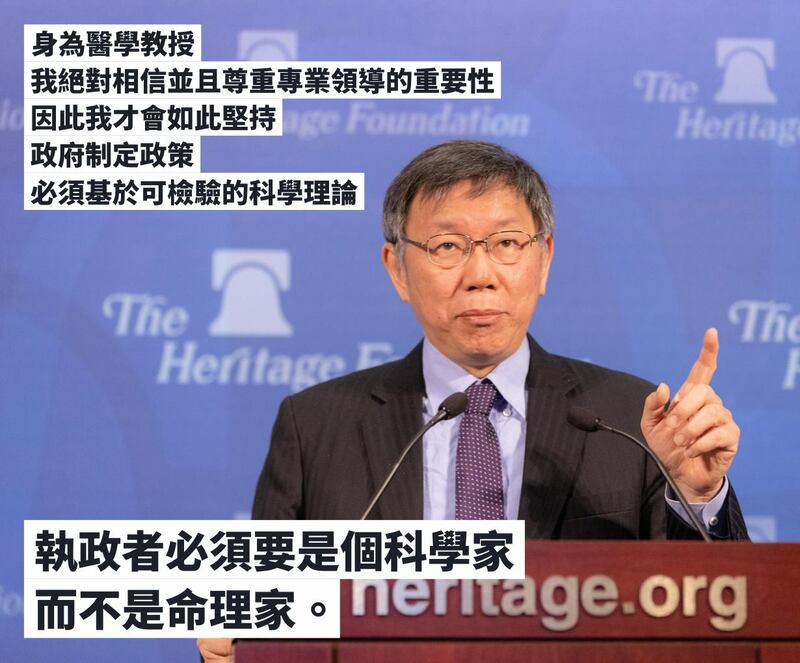 ON MARCH 20TH, Taipei Ko Wen-je spoke at the Heritage Foundation in Washington DC, outlining his experiences as Taipei mayor, and emphasizing his status as an anti-establishment politician. Despite not having announced his intention to campaign for president in 2020 just yet, the content of Ko’s speech suggests a degree of planning in running for president. 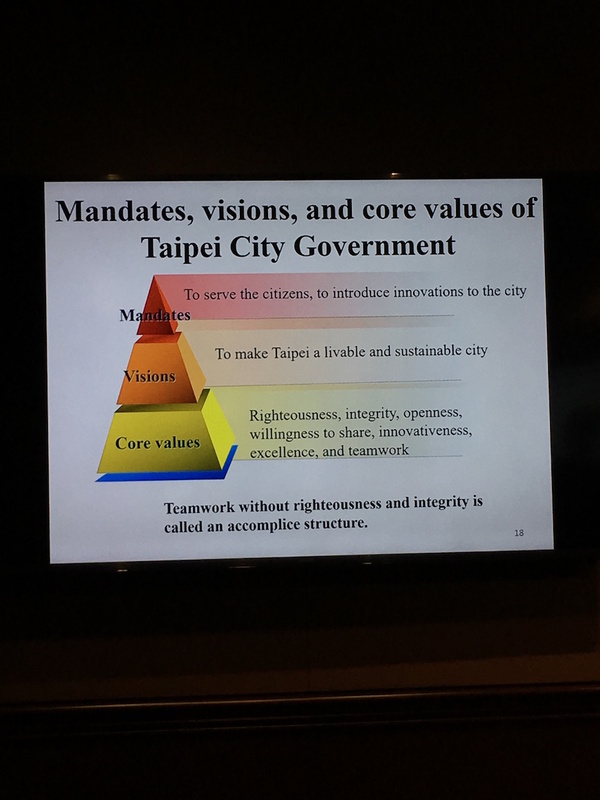 Ko presented a detailed outline of his experience as a political outsider, who entered politics in running for Taipei mayor but previously only had a medical background. Yet Ko’s presentation and speech contained ambiguities at many points. Many of his slides seemed to be directly translated from Mandarin, and the lack of elaboration on several key concepts likely led to some amount of information lost in translation. Ko’s message was one that resonated with the electorate of Taiwan in 2014. Ko’s image as a respected physician stood out from the rest during his initial campaign. But during the talk, as Ko presented his experience during the 2014 presidential campaign, he also directly criticized the political pundits and media of Taiwan as “troublemakers,” and seemed to imply that they had a tendency to take bribes. Yet while Ko would be making an accusation that seems to summarily categorize all press in Taiwan as negative, he presented no substantiating evidence to back up his claim. While Taiwan’s media environment is indeed suboptimal and ridden with problems like sexism and use of unverified information, this direct attack on the media should be concerning given Taiwan’s democratic values. 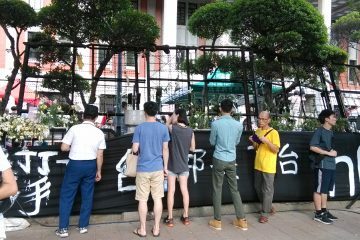 A free and open press is necessary to encourage civil discourse, something we do not necessarily see in Taiwan just yet, given its recent history of democratization. As such, while Ko also preached the importance of democratic values in his talk, his attack on the press in a manner not too different from the style of American President Donald Trump contradicts this nominal support for democracy. Another ambiguous point in Ko’s speech was a seeming out of place assertion regarding criminal justice. “You are in jail, it is because you are guilty, not because you are powerless,” Ko repeated twice in his speech. At first, this could be confusing without context, but glancing at the platforms of other political candidates it may be evident as to what Ko may be referring to. Ko is most likely making a not-so-subtle stab at President Chen’s imprisonment over corruption, and indirectly responding to proposals to release Chen by DPP politicians as well as DPP presidential candidate and former Premier William Lai. As Ko came to a conclusion in his speech, he outlined his vision for Taiwan’s foreign policy. A “Pro-US, friendly with China” (親美友中) policy was outlined. He supported this platform by comparing his congruence with US values such as democracy and freedom with his pragmatic experience bridging the gap with China by presenting his effort in pushing through the Taipei Shanghai City Exchange program. 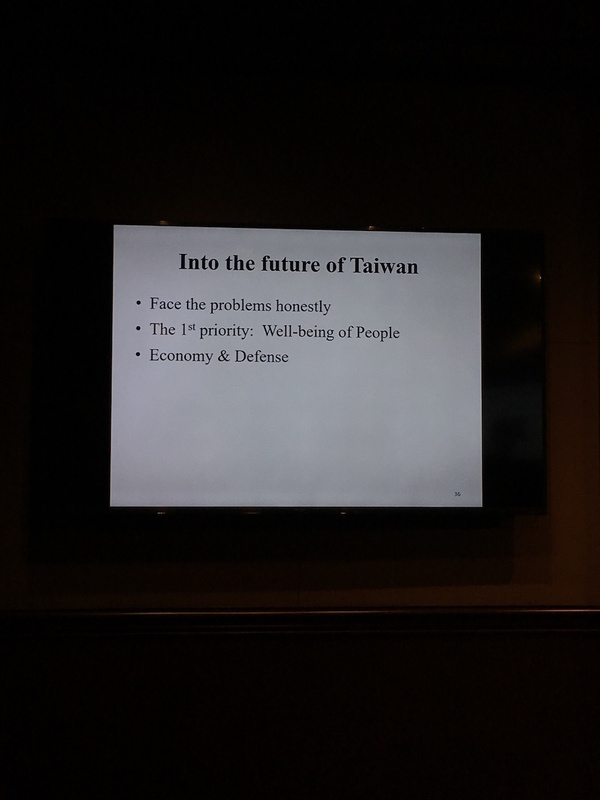 Ko used an analogy to illustrate his idea: “My hardware is made in China, but my software is made in the US.” This refers to his previous assertion that the “two straits are one family” (兩岸一家親) while simultaneously referring to his experience living in the US. At the end of the day, Ko’s rhetoric was simple and direct, yet ambiguity impeded effective presentation of his ideas. Ko’s speech was made in a high-context manner, one that could be difficult to understand if one is not familiar with Taiwan, inclusive of what may have been a jab at former President Chen’s imprisonment. The meaning of Ko’s “Pro-US, friendly with China” (親美友中) policy would easily be lost through translation. The Chinese letter “qin” (親) used to describe the envisioned relationship is also one used for family members (親人), while the letter “you” (友), also used for friends, is used to describe a relationship envisioned with China. Ko explains that he has treated “patients as patients” and will look to treat “citizens as citizens.” While in his speech the phrase was used to emphasize the fundamental human right that patients and citizens ought to receive, the analogy was a strange one that seems to equate Taiwanese citizens to sickly patients. Both of these shows a trend toward hierarchical, ruler-to-subject Confucian thinking on Ko’s part, fitting given references to the “hardware,” cultural, and linguistic makeup that Ko believes he shares with China. Again, such information, especially in a low-context American policy environment, could easily have been lost especially through translation. 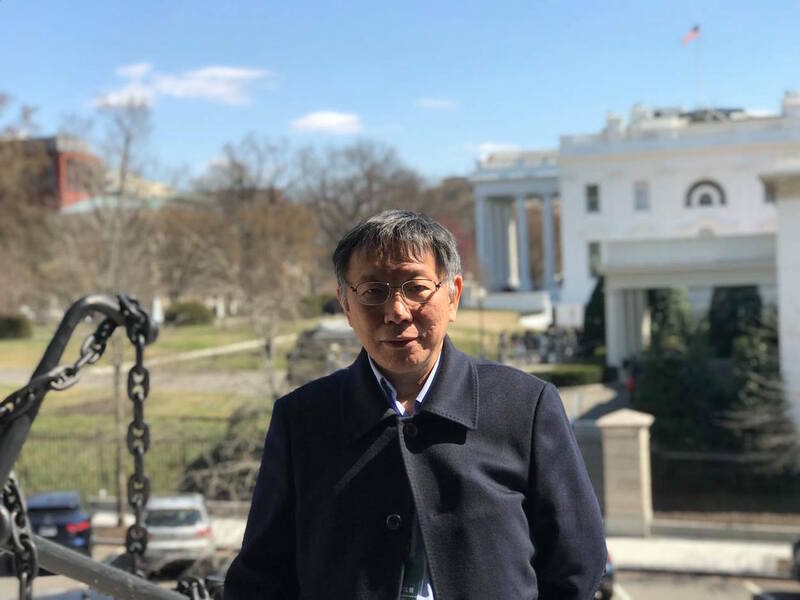 Compared to the speech given by President Tsai Ing-wen a week later at the Heritage Foundation, a much larger portion of Ko’s message was either poorly presented or translated. The language barrier is clearly a problem for Ko. 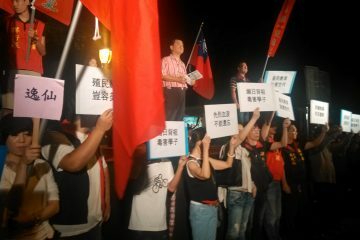 Most significantly, the four-word phrase Ko used in Mandarin to describe his vision for Taiwan’s foreign relations was absent when the English version was presented through his translator. When Walter Lohman, the Heritage Foundation’s moderator at Ko’s speech, brought up a question on cross-strait relations, the tone of his question directed to Ko had to be intentionally slowed and simplified. 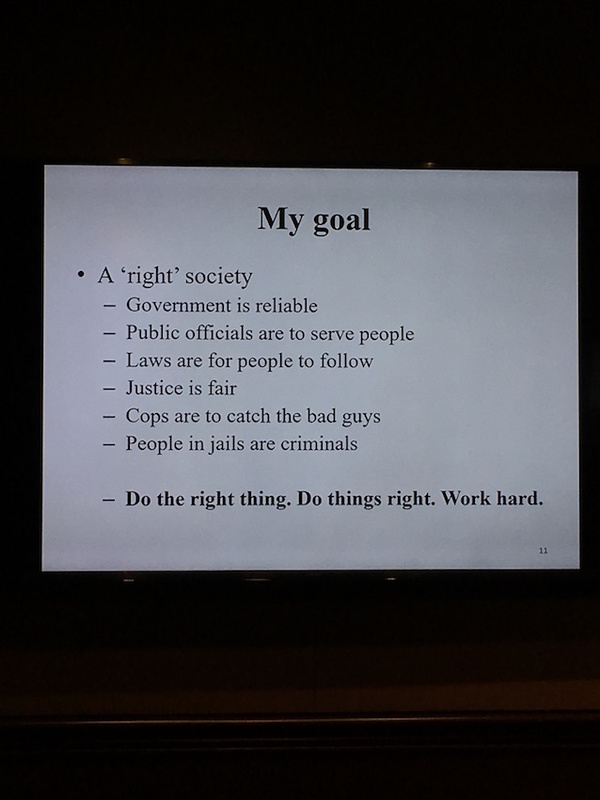 This, combined with the simple but inefficiently presented concepts on his slide, only contributes to the ambiguity of his speech. Ko’s insistence on science is valid given his medical experience, yet Ko did not clarify specifically how he has incorporated “science” into his leadership. One must be especially mindful of the politicization of science, since it was used during the Holocaust to purge Jews amongst other minorities deemed “racially impure” from Nazi Germany. Having most recently returned from Israel and drawn attention for having misspoken when referring to the Holocaust and Israel, Ko should be especially mindful of his word choices. According to Ko, “Laws are for people to follow, not as references.” This, combined with his statement on how those in jail are “criminals” instead of being “powerless,” draws a strong contrast between his attitude and the on-going criminal reforms in the United States. Despite his emphasis on human rights, personal freedom, and universal values, his staunchly conservative attitude on criminal justice, perhaps directed towards former president Chen’s imprisonment, suggests an inconsistency between his values and rhetoric. 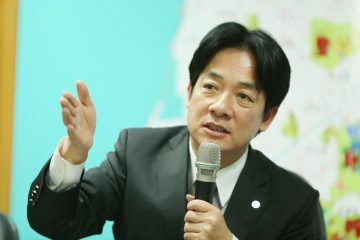 Ko’s well-maintained social media profiles and effective grassroots campaign contributed to his success in 2014 and most likely also led to his reelection victory in 2018, but his speech and presentation at Heritage appeared ill-prepared. 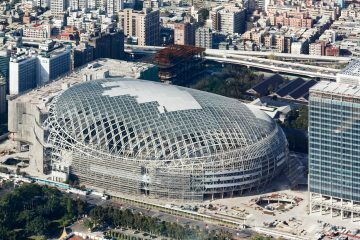 This may suggest a lack of funding or effort to hire professional English-speaking staff to foster ties with the US, a potential red flag for those working on Taiwan in the US. Compared to President Tsai’s speech at Heritage a week later, Ko’s speech, by contrast,t came off as his being an ambitious leader without a clear image for the future of Taiwan. The fact that one of his top aides, a high-profile press secretary, called the question of Taiwanese independence versus unification a topic unworthy of discussion on live television, has contributed to a general confusion over Ko’s platforms. This attitude, more implicit than explicit before the aide’s appearance, has contributed to a tense or even hostile relation with the Formosa Association for Public Affairs (FAPA) and Taiwan Association of America (TAA), two of the most politically influential Taiwanese organizations in the US. 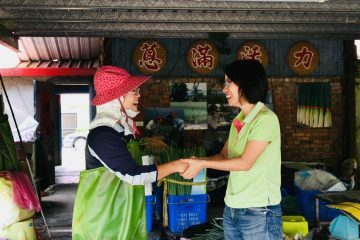 Ko would benefit from providing a clearer vision for Taiwan’s political future and releasing this for public discussion, as candidates of both the DPP and KMT have. A simple framework and slogan with little to supplement his platform is simply inadequate for discussion of the ever-evolving US-China-Taiwan trilateral dynamic. Milo Hsieh studies international relations at American University in Washington, DC. From Hsinchu, Taiwan with both parents working in tech, but has a passion following the post-Sunflower movement youth and civil movement in Taiwan, he is most interested in observing how culture intersects with politics. Have Ko Wen-Je’s Attempts To Attack Wu Yin-ning Backfired?